In the event of a fire the seal expands (intumesces) to many times its original volume and seals the gap around the door to provide a safe and effective barrier against the passage of fire, smoke and hot gases. Astroflame Intumescent Fireseals are available with or without a cold smoke seal in the form of a nylon pile. Astroflame smoke seals provide a permanent barrier to smoke - particularly important as smoke fumes travel faster and further than the fire itself. They also have acoustic and thermal applications. 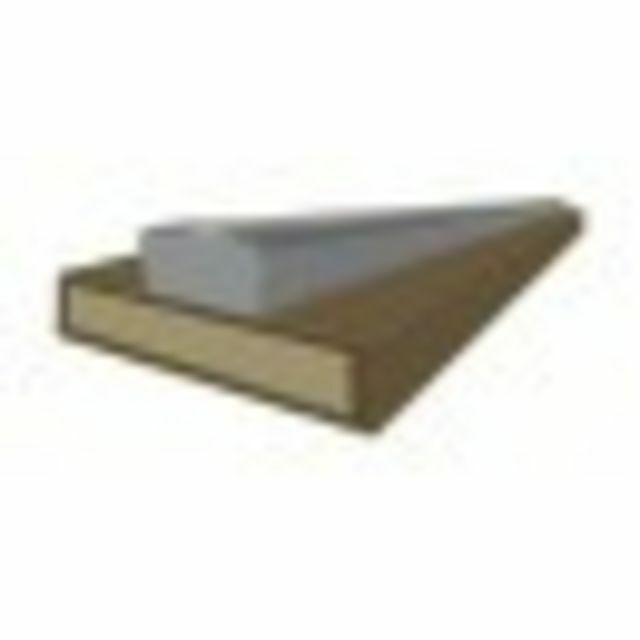 An intumescent graphite based Fireseal is contained within a PVC sleeve, for fitting into a groove to either the door-leaves or the into the door-frame. All Astro fire and smoke seals are supplied with a self-adhesive backing tape as standard to facilitate quick and easy fitting. Fire and smoke seals are available in a choice of 12 colours to suit your requirements or blend with decor. Tested for 30 minutes to BS 476 part 22 & 31.1. - Smoke seal tested to 100,000 cycles. - NHBC Type Approval. E. & O.E. see T&C - We do try to keep prices and specifi­cations of Intumescent Fire Door Strip with Smokeseal correct, but mistakes can be made!